and principal value of an investment will fluctuate. An investor’s shares, when redeemed, may be worth more or less than their original cost. annualized. 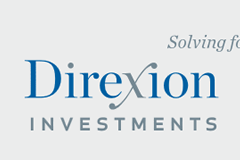 For the most recent month-end performance please visit the funds website at www.direxioninvestments.com. expenses, is unmanaged and cannot be invested in directly.